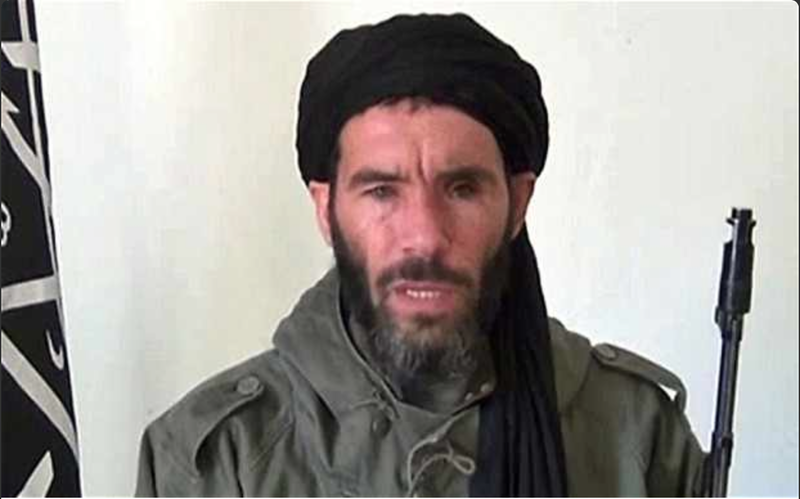 Al Qaeda in the Islamic Maghreb (AQIM), an official branch of al Qaeda, has posted a statement on Twitter saying that Mokhtar Belmokhtar, a veteran jihadist, is “alive and well.” AQIM refers to Belmokhtar as Khaled Abou El Abbas, a name he has long used, in the message. AQIM accuses the media of lying about Belmokhtar’s death in order to justify American airstrikes on the “innocent” people in Libya’s tribes. The statement is, therefore, an attempt to portray the bombings as targeting the Libyan populace, not just the jihadists. On June 16, AQIM issued its first statement on the airstrikes. According to a translation by the SITE Intelligence Group, AQIM said that an “elite group from among the sincere sons of Libya and its resplendent knights” were killed. However, there was no mention of Belmokhtar. US officials have said that Belmokhtar was targeted in bombings last weekend (June 13 – 14), but they were not sure whether or not he had perished. In the days since, there has been uncertainty concerning Belmokhtar’s fate. The fog of war frequently makes it difficult to determine whether or not a senior al Qaeda leader has been killed. Belmokhtar and AQIM’s leadership have often disagreed. In late 2012, he left AQIM’s ranks to form his own battalion. However, Belmokhtar’s spokesman told the press that Belmokhtar remained loyal to al Qaeda’s senior leadership and he simply wanted to lead his own organization. In January 2013, Belmokhtar commanded the terrorists responsible for the raid on the In Amenas natural gas facility in Algeria. Belmokhtar claimed responsibility for the attack on behalf of al Qaeda. In August 2013, Belmokhtar merged his group, the al Mulathamun Battalion, with the Movement for Unity and Jihad in West Africa (MUJAO). Together, they formed the al Murabitoon Brigade. A MUJAO leader named Adnan Abu Walid al Sahrawi recently broke with Belmokhtar and pledged allegiance to Abu Bakr al Baghdadi, who leads the Islamic State. Although al Sahrawi claimed to speak on behalf of the entire Al Murabitoon organization, it quickly became apparent that he represented only a splinter faction. Al Murabitoon released its own statement denying Belmokhtar’s death earlier today. “We announce to our mujahideen brothers everywhere in the world that the news of the death of commander Khaled Abou El Abbas in an American air strike is false,” the group’s statement reads, according to Reuters. The statement was first published by Al Akhbar, a Mauritanian news agency that regularly receives similar messages from the group. Reuters notes that it could not independently verify the authenticity of Al Murabitoon’s statement, but Al Akhbar has been a reliable conduit in the past. Earlier in the week, Ansar al Sharia Libya posted a message implying that Belmokhtar is alive. The SITE Intelligence Group translated Ansar al Sharia’s statement. Several Ansar al Sharia members were killed in the bombings that targeted Belmokhtar in Ajdabiya, Libya. And Ansar al Sharia listed seven of its “martyrs,” excluding Belmokhtar. Still another jihadist group, the Ajdabiya Shura Council (ASC), has released a statement concerning the bombings. The ASC also listed the “martyrs,” but said nothing about Belmokhtar. Therefore, the jihadists have now released five statements concerning the airstrikes. Two of them have been explicit denials of Belmokhtar’s demise, with the other three implying that he is alive. Some press reports out of Libya have claimed that Belmokhtar was attending a meeting held at a farm owned by Al Sadi al Nawfali al Maghrebi, who is the spokesperson for ASC. The ASC is an alliance of jihadist groups that includes Ansar al Sharia. Indeed, the Ansar al Sharia members killed in the bombings likely operated under the ASC’s banner. The ASC coalition is similar to the Mujahideen Shura Council (MSC) in Derna and the Benghazi Revolutionaries Shura Council (BRSC). The latter is led by Ansar al Sharia’s branch in Benghazi. Regardless of whether Belmokhtar attended the meeting, and narrowly escaped death, or didn’t attend it all, there are good reasons for intelligence officials to suspect that he is working with Ansar al Sharia. Ansar al Sharia first gained international infamy following the Sept. 11, 2012 terrorist attack on the US Mission and Annex in Benghazi. Ties between the group and Belmokhtar were uncovered during the investigation into that assault, which left four Americans dead. Members of Ansar al Sharia called Belmokhtar afterwards to offer their congratulations on the successful operation. Well, there will be a NEXT TIME,SOON for Belmokhtar or what ever else they call this maggott.